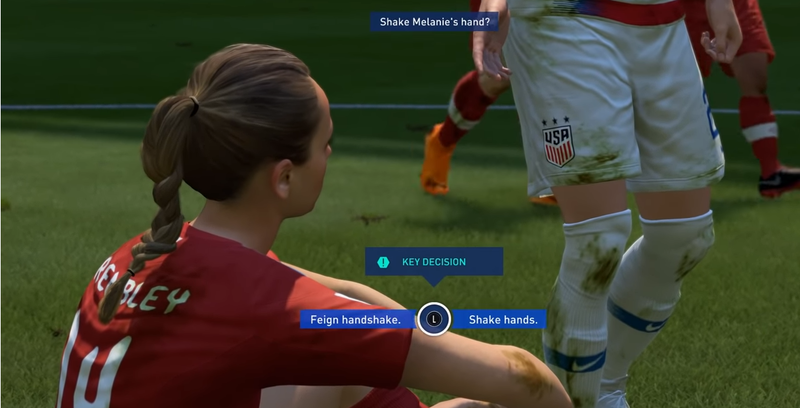 There are moments in FIFA 19 The Journey where you'll need to make key decisions. They will slightly alter the story, and dictate which rewards you'll earn while playing. To make sure you don't miss out on anything, we've put together this FIFA 19 The Journey Rewards Guide. It will highlight the key choices in the game, broken up by which character you'll be playing as. We'll also list the rewards that you can earn, and indicate which chapters will give you which rewards. 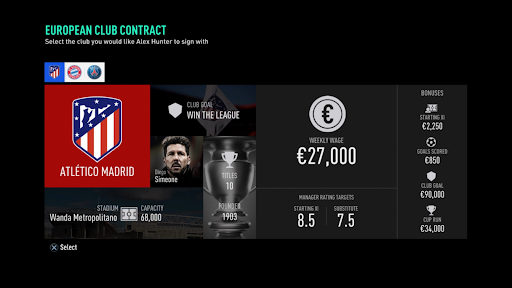 If you’re looking for more on FIFA 19, be sure to head on over to our FIFA 19 Guides Hub. It’s got a ton of info on the game, including the best young players, a look at how to score lots of goals, and more. 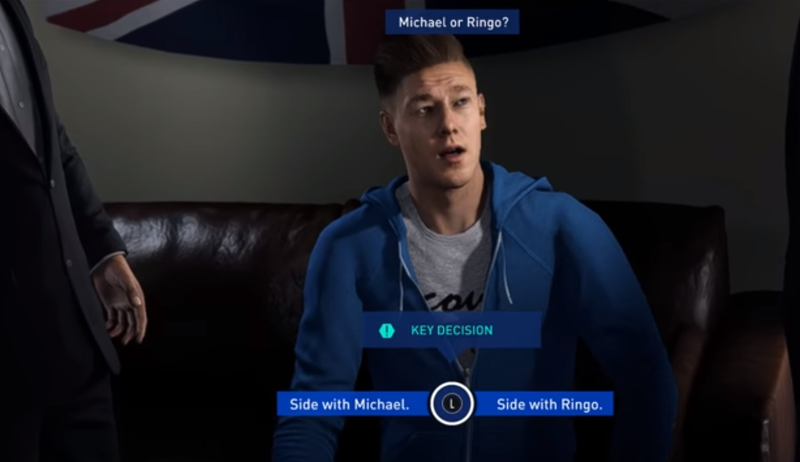 While playing FIFA 19 The Journey, no matter which character you're playing as, you'll have to make a number of decisions that have an impact on how the story unfolds. These choices don't really have an earth-shattering effect on how your game will play it in comparison to a friend's game, but you will see a difference depending on what you choose. Just below we've listed all of the FIFA 19 The Journey Decisions and the FIFA 19 The Journey Rewards you'll earn as you play. NOTE: If you read on you'll inevitably see spoilers for the story in FIFA 19 The Journey. 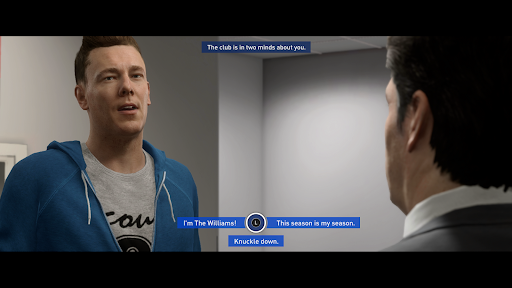 The first choice you’ll be faced with in FIFA 19 The Journey is whether to carry your progression over from previous campaigns, or to start anew. If you carry on, you’ll get some stat boosts, so it is definitely recommended. The next major choice is which team you want Danny Williams to sign for. You can choose between any Premier League club, so go with your favorite! Danny Williams - Print or Radio? Another major choice for Danny is whether to do a Radio advert, or photoshoot for McMillan’s Fish and Chips. There’s no real difference between the ones you choose, though the photoshoot is definitely funnier. The next major choice for Alex is choosing his team. You can pick either Atletico Madrid, Bayern Munich, or PSG. Go with whichever you’d like. Chapter 2 of FIFA 19 The Journey is where things start to get interesting. 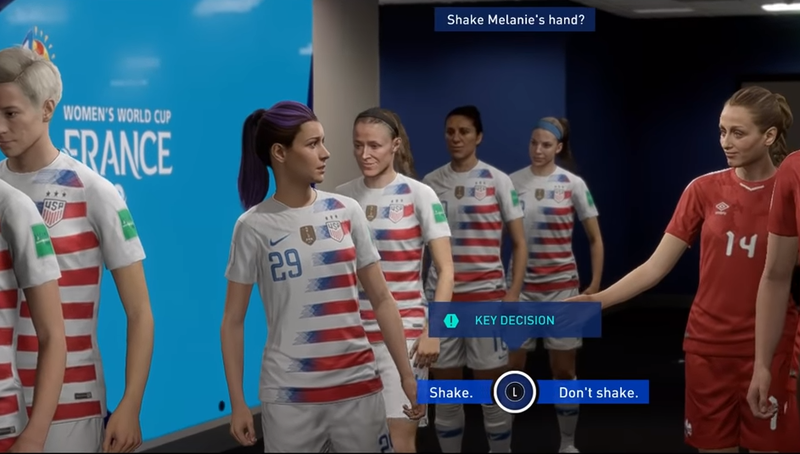 Alex signs for Real Madrid, Danny struggles to live up to his Brother’s successes, and Kim deals with the pressure of being called up to the US Women’s National Team. 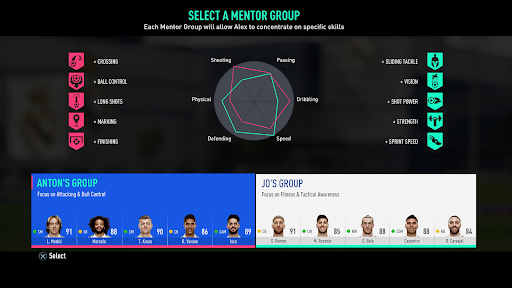 Here are all of the major choices for FIFA 19 The Journey Chapter 2. 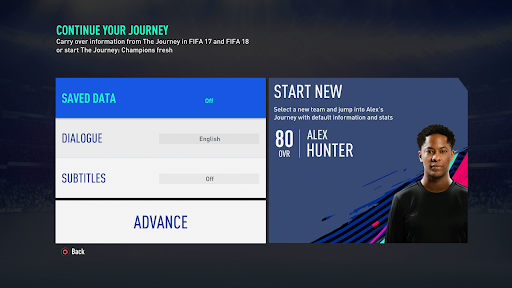 The first major choice for FIFA 19 The Journey Chapter 2 is which Mentor Group to choose for Alex. there are two to pick from, with Anton’s Group offering crossing, ball control, long shots, marking and finishing as perks, and then Jo’s Group excelling in sliding Tackles, Vision. Shot power, strength, sprint speed. Pick the group with the skills that suit your playstyle. The next major decision of FIFA 19 The Journey Chapter 2 is that of the brand logo. You have to choose between Alex’s Mum’s design or Beatriz’s. We’d recommend choosing Alex’s Mum’s, because Beatriz is a corporate stooge. 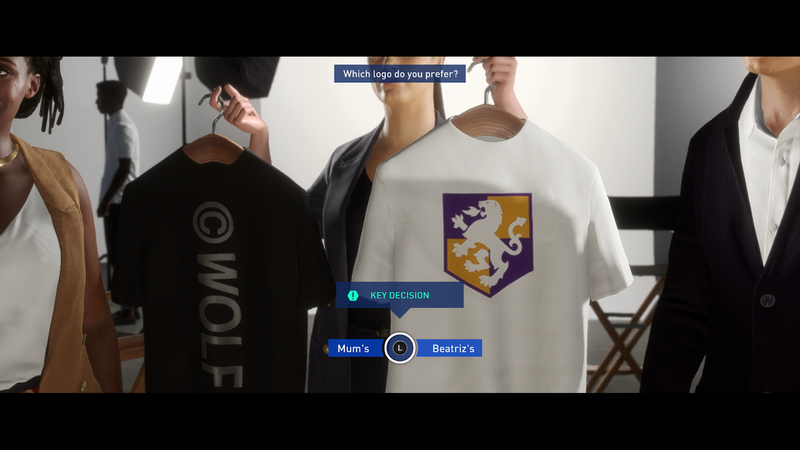 You’ll receive your choice as a customization item though, so if you really prefer one design over the other then go for it. Chapter 3 of FIFA 19 The Journey sees Kim stepping onto the world stage, and Alex and Danny finding their place in life. 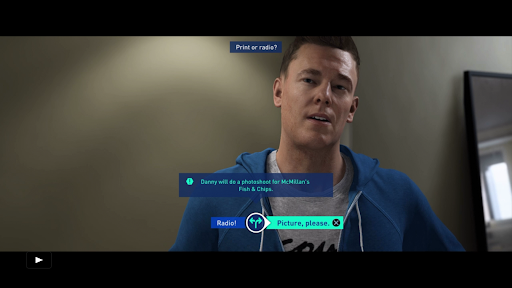 Here's all of the major choices for FIFA 19 The Journey Chapter 3 that can have an impact on how your story plays out. 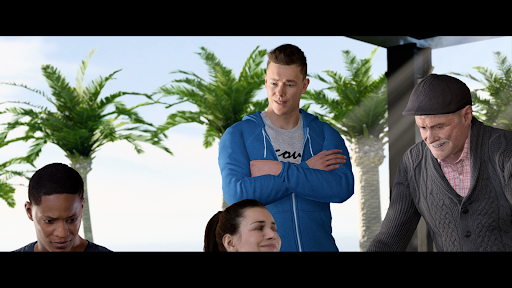 You'll need to choose between Michael and Ringo when playing as Danny. We recommend you choose Michael, though to be honest, things still don't work out great for Danny. 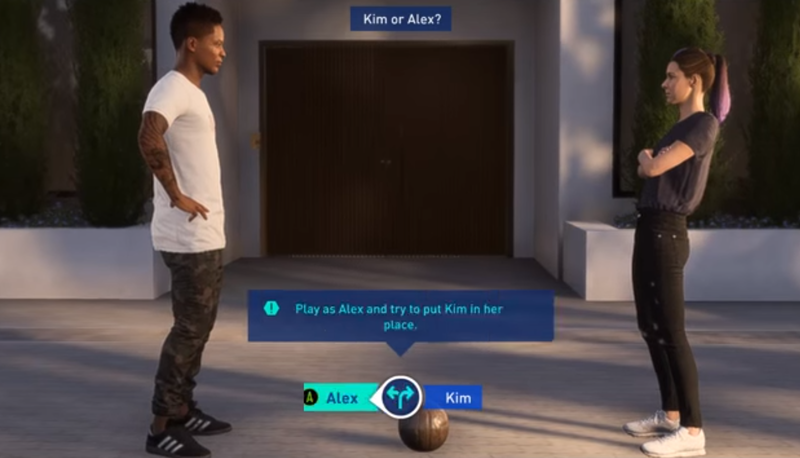 The next choice is whether to play as Alex or Kim in the 1v1. It doesn't really make a difference here, so go with your heart. Kim gets caught talking to an agent by her coach. This is against the rules, so Kim is put on blast for it. Just reiterate your love for the team and you'll be a-okay. Later on, you'll be bothered by Bea, again, and will have to choose between a lame old press conference or a fun day with Kim. Hang with your sister, obviously, unless you're a horrible person. The fourth and final chapter in FIFA 19 The Journey is a heartfelt one. You can win the world cup with Kim, and watch Alex and Danny go face to face in the Champions League Final. Let's take a look at the choices you can make. Kim Hunter - Shake Hutchinson's hand? Just before the World Cup Final, Hutchinson will offer you a handshake. Turn it down, because she's trying to fake you out. Don't let her get into your head. You're smarter than that. After the game, you're given the option to shake Hutchinson's hand or feint it away. It's up to you whether to be the bigger person, we won't judge. It's hard not to feint it away given the hassle she's been giving you up to this point. 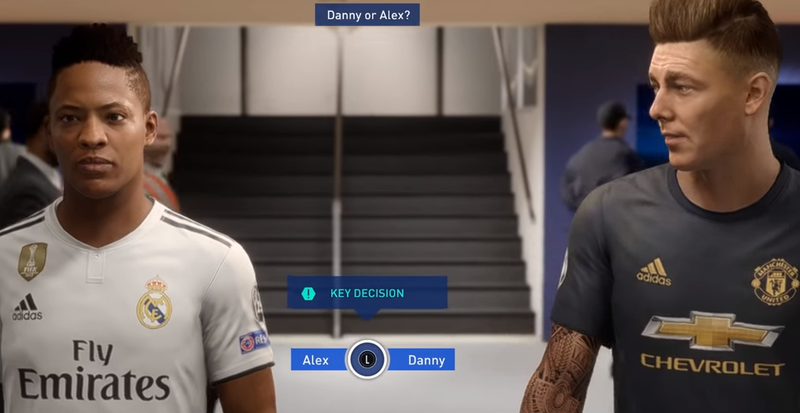 You get to choose whether to play the final as Danny or Alex. We went with Alex, FYI. Alex and Danny available in Career mode. Who doesn't want The Williams in their FUT squad? He's in our starting XI every single game. That concludes our FIFA 19 The Journey Rewards and Choices guide.